The Security Officer position insures the safety of the collection, building, visitors, and staff. In this position, you will be expected to make tours of the facility and/or be stationed at a post, electronically monitor the facility, and review entry into the facility. The overall goal of a Security Officer is to maintain a safe and secure environment at all times. Responsible for the protection of the collection – protection from vandalism; theft; and damage from fire, floods, and other outside sources. Respond in a friendly manner to visitors questions and if necessary directs them to the appropriate person or location. This facility has Security Officers on duty 24 hours a day. All Security Officers must be available to work all shifts. Individual must possess visual acuity and good hearing, and must be able to stand on post for long periods of time. Walking, bending, and lifting moderate weights is also required for this position. 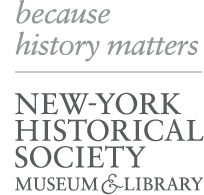 For consideration, please send cover letter, resume, and salary requirements to: resumes@nyhistory.org. In the subject line please reference the job title.